Saint Quintian (Quintianus, Quinctianus, Quintien) (died ca. 525) was a bishop of Rodez and a bishop of Clermont-Ferrand (Arvernes) in the sixth century, and participated in the Councils of Agde (508) and Orleans (511). Tradition makes him a native of Africa and a priest of Carthage who fled to France due to the persecutions of the Vandals. At the death of Saint Amantius (Amans) in 487, Quintian succeeded him as bishop of Rodez. During the war between the Franks and the West Goths, he was a zealous supporter of Clovis I. To avoid the persecutions of the Arian Visigoths, he fled Rodez to proceeded to Auvergne, where he was hospitably received by Bishop Euphrasius (Eufrèse). King Theodoric I appointed Quinctianus successor to Sidonius Apollinaris (grandson of the famous Sidonius Apollinaris), Bishop of Clermont. On the death of the latter, Quinctianus succeeded to the See of Clermont, which he occupied until his death on November 13, 525 or 526. The source of info on him is his wiki, from which the above is drawn. For some time now I have been of the opinion that the present outbreak of rebellion in women against male authority, a problem with many names but which can be encapsulated best by the appellation “feminism”, was inevitable in the West, and in the United States in particular. Several different factors are at play right now in the United States, any one of which would create the present crisis (which I believe it so qualifies as). Working together they have created an unstoppable juggernaut which has reshaped the culture over the last century or so to a breathtaking degree. What we have now would be largely unrecognizable to someone who lived at the turn of the 20th century. The social order which we might refer to as “Patriarchy” is now entirely gone. Whatever appears to be left of it is in fact a hollow shell, devoid of substance or meaning. I’ve thought for a while that one of the ironic things about the Christian part of the manosphere is the emphasis on authority, but limited to the need for women to submit to the authority of men. At the same time, there is a general denigration of the authority of church leaders (of whatever denomination). The need for authority permeates our lives, and wherever people are unwilling to submit themselves to the right authority over them, there will be problems. I’ve never really thought about things this way, but the more I reflect it’s pretty dang amusing. Think about it this way: individualistic men of the West, each claiming to be their sole spiritual authority to interpret the bible…get exactly what we ask for: division. And our women, following us, soon become a perfect reflection of their men, indeed made from our very (disobedient) rib to continue the analogy. In this light, it’s sort of funny to complain about women being disobedient to the very men who are themselves repulsed by earthly spiritual authority. Hey, I don’t want to obey imperfect earthly authority (even though Jesus demanded it) so I’ll follow Christ directly! Well, then, why shouldn’t my wife say exactly the same thing to me? I sure can’t claim perfection for myself nor my earthly spiritual leaders. So the modern western wench is a pretty damn appropriate punishment, the more I think of it. God is clever but never malicious. He is merely giving us what we demand…earthly freedom for us and ours. Ouch. Both of them touched on one aspect of the problem of female rebellion- the overall dislike of authority in the West. But so much more is at play. I am writing this post in order to examine some of the reasons why Patriarchy was doomed centuries ago, and to show that what is happening now is merely the fulfillment of a destiny set in place long before our time. Each of these impulses has worked on its own to stoke the fires of female rebellion, each in its own unique way. While the paths they have trodden may be different, the final destination is the same: the destruction of Patriarchy. Now to explain all three in a little more depth. The Anti-Authoritarian Impulse derives from the liberal opposition to authority and the exercise thereof. This is especially true for “imposed authority,” that is, authority that comes down from above where the person below has no say in the matter. One of the driving forces in the creation of what we can call liberalism was a hostility to this kind of situation. It is principally applied to matters of state, and expressed most commonly in the idea that “just government comes from the consent of the governed.” Liberalism believes that authority cannot be imposed unilaterally from above; it is only valid when assented to by the governed. As one might guess, this particular impulse manifests as a direct rebellion against authority. It is the most forward of the impulses, and the easiest to understand in its effect (subtle it ain’t). The Egalitarian or Equality Impulse is a fairly broad one, as it encompasses both the liberal belief that everyone is equal to some degree or another, as well as the belief that everyone should be equal. Some expressions of this include ideas such as “political equality”, “equality of opportunity” and “equality of outcome.” Ultimately it comes down to treating people the same in some form or fashion, and recognizing them as being the same. Each plays off the other. After all, if everyone “is” the same, then they should be treated the same. And if everyone is treated the same, then they will “be” the same. Its origin in liberalism is interesting. It has ties to classical philosophy, especially the polis of ancient Greece, where in many instances the citizens of a city-state were considered equal brothers (Sparta is an interesting example of this). Another pagan connection would be various Anglo-Saxon and Viking traditions, which hewed to a sort of “band-of-brothers” belief that fellow warriors were equal to one another. The notion of trial by your peers is an example of this, as it has a history tied to this tradition, dating back to when Germanic tribes first invaded what we now call Britain and Ireland. There was also a Christian connection as well, owing to the thought of some famous Christian theologians who emphasized the equal worth of human beings in the eyes of God. There is more, but it is beyond the scope of this post. All of these sources flowed together into the thinking of the Enlightenment, where liberalism was born, and emerged as the idea we now call “Equality.” While it has, even now, many flavors, the Egalitarian Impulse carries a lot of weight in the liberal West. The Freedom or Liberty Impulse is, stated simply enough, the liberal belief that everyone should be free to act how they wish as much as possible. Usually it is explained as the ability of a human being to act in whatsoever manner they wish, so long as they don’t intrude on the rights of a fellow human being. Otherwise, so long as someone else isn’t directly affected, you are free to do whatever you want. Much of its origin can be traced to the English Enlightenment, which drew heavily on the centuries old tradition of “English Liberty.” That itself drew on even older traditions dating back to the Norman conquest of England, when certain individuals were granted special privileges based on service to the crown, blood ties and the like. Originally (to the best of my musty knowledge of history) it mainly manifested itself as a list of rights to be free of certain obligations. Freedom from certain taxes and duties, for example. A freedom “from,”, if you will. Over time it morphed into a freedom “to” do certain things. As a matter of political philosophy, this was actually a huge shift, and helped lay the groundwork for the impulse as we understand it today. You will find similar influences in pretty much every major American political document or speech. The three impulses pervade everything; they are so commonplace we pretty much take them for granted at this point. An interesting question would be if they are more prominent in the US than they are elsewhere. My personal belief is that the Anti-Authoritarian and Freedom impulses are more pronounced in the US, whereas in the rest of the West the Egalitarian impulse is dominant. That is not to say that the US lacks the Egalitarian impulse, it clearly doesn’t. But it isn’t as strong, and takes a somewhat different form than it does in, say, Europe. The reason for this is that liberalism has had several different variants over the years. The US has long been a haven for what political philosophers call “classical liberalism”, which is the form of liberalism that developed during the Enlightenment. It is marked by a strong resistance to authority, a preference for Equality of Opportunity over Equality of Outcome, and a strong believe in “individual rights, i.e., “freedom.” Europe, on the other hand, has been influenced far more by “socialist liberalism”, which is a post-Enlightenment variant of liberalism which was a product of the Romantic era. It is marked by a strong preference for Equality of Outcome, which drowns out to some degree the other impulses. However, despite the different flavors they represent, both expressions of liberalism lead to the same place, as the next section will explain. This leads me back to the original point of this post- how the rise of “feminism” in the West was inevitable. Liberalism, as the dominant ideology in the West, made sure that all three impulses exerted a great deal of influence on Western culture and thought. They are everywhere. Their influence and effect is inescapable. And each was capable by itself of encouraging female rebellion. How did they do it? Let us examine each in turn. This is easy enough to understand. This impulse has, over time, encouraged all segments of society to rebel against any form of authority, and it has weakened the authority that can be exercised. Male authority over women is treated like any other kind of authority- it is opposed on principle and tolerated only when those over whom it is exercised consent (stated another way, consent must be had for authority to be exercised). Naturally enough, most women don’t consent to men exercising authority over them. And why shouldn’t they? Individually they often benefit from rebelling, even though society as a whole will suffer. Left unchecked, this impulse will expand its scope and reach. And there is no checking it, as it is a core belief of the ideology of liberalism. To check the anti-authoritarian impulse would be to renounce a part of liberalism itself, which it would not, could not do. No form of authority can escape its grasp accordingly. What has happened in the West over the last many centuries is that the authority of the state and the church has been reduced and limited to an incredible degree (although it should be noted that the rise of socialist type policies and practices runs counter to this- the subject of the impulses competing with one another is a matter for another post, however). The authority of the husband over his wife, and of men over women, would always be targeted because any authority would eventually find itself a target. And no defense could be raised against it, because those elements of society which could mount it had already been neutered. Again, this has two components, one that stresses that everyone is equal, and a second which emphasizes that everyone should be treated equally. Both work together towards the same end. If women are equal to men, then it follows that men cannot exercise authority over them. After all, authority is exercised by a superior over an inferior, not by one equal over an another. Also, if women are equal to men, than they should be treated the same. It isn’t logical or consistent to treat those who are the same any differently, hence women and men must be treated the same. And if women and men are to be treated the same, then there is no room for male authority over women. The problem with the Egalitarian impulse is that it could never be easily limited. Once the concept of Equality was acknowledged as an ideal, there was no stopping it. Anyone and everyone would claim the mantle of its power for themselves. How do you distinguish one group as worthy of equality, and not another? As long as it held value in the minds of the populace, people would be hesitant to argue against its further application to another “worthy” group. In holding up Equality as an ideal, liberalism provided a ready made tool to hammer male authority with. The two are incompatible, something had to give. With liberalism being the dominant ideology, the loser was inevitably going to be male authority. Male authority over women necessarily entails restrictions on female liberty. That is the nature of authority- it’s exercise limits what you can do. Here we had another inevitable conflict in the making. Again, the idea behind this particular liberal belief is that you should be able to do what you want to do. Support of any kind of restriction on liberty, of anyone, carries with it the charge of hypocrisy (again, with some exceptions based on the other impulses interacting). Whether or not it is true, people don’t like to be called hypocrites. Defending against that charge would require showing that restricting female liberty was of greater social value than promoting greater liberty. The problem with that defense is the fact that liberalism never had as a core component of its ideology the belief that men needed to exercise authority over women. Rather, it was inherited from previous ideological systems as a kind of “leftover”, a tradition that was preserved because it made sense. Some philosophers made stronger arguments in favor of it, but those ideas were never part of the core ideology of liberalism. They were dressing, in other words. All of this means that when push came to shove, the liberty impulse was destined to win. People in the West have been conditioned to believe that more liberty is inherently a good thing. Indeed, liberty itself is seen as a good of the highest order, so of course the more of it, the better. If you oppose greater liberty for, say, women, why then… the question is raised about what kind of person are you? Only someone opposed to liberty, such as a fascist/national socialist, would oppose liberty. After all, that is what liberalism has essentially taught people in the West. Because liberty was more highly valued by liberalism than any exercise of authority by men over women, it was inevitable that women would seek and be granted the freedom they so desired. In conclusion, this was always going to happen. The seeds of female disobedience and rebellion were planted centuries ago. Men, in their desire to acquire more liberty for themselves, to level the playing field, and to escape the church and the state exercising any authority over them (without their say so) created an ideology to suit their ends. But in their individualistic pursuit of greater self-actualization and power, they failed to appreciate that they were paving the road for women to follow right behind them. And follow they did. Churchianity is the natural result of these liberal tendencies allowed to run their course. Notions of Equality, Freedom and a hostility to Authority are so deeply engrained in our minds by the surrounding culture they incline us to undermine core tenets of the faith. Despite clear teaching to the contrary, wives are not submitting to their husbands, women are preaching and exercising authority over men, and marriage and divorce are treated flippantly. Those are just a small sample of what Churchianity offers. And it is only going to get worse. In their haste to get what they wanted, our forefathers blindly tore down the barriers that kept our inner demons at bay, and undermined the foundation of Western Civilization. As many around these parts have argued for some time, that foundation was Patriarchy and Patriarchal marriage (for a good explanation of how that is the case, see here). When the present system collapses, and it most certainly will, it will not be because people the people running it were incompetent. Or because they didn’t try it hard enough or long enough. No, everything will fall apart because there could be no other outcome. The liberal order was destined to collapse. This passage, and its companions in Matthew and Luke, is one that has been misinterpreted quite a lot since the time of Christ. Many Christians have interpreted it as meaning that riches are incompatible with attaining heaven. Along with that, they have adopted a binary mode of thinking and conclude that poverty is essential to Christian piety. This is simply not supported in Scripture or Tradition, but it is one of those constant heresies (which is what it is) that pops up every now and then. To understand what Jesus is saying, look again at what he tells the rich man to do. Jesus gives him two commands: the first is to sell his possessions, and the second is to give the proceeds to the poor. The first part is later explained by Jesus: riches make it difficult for us enter heaven. How so? Well, the eye of a needle was a type of narrow gate/entryway in the city walls at the time of Jesus. Camels were the common transport animal used by merchants in that part of the world for long distance caravans, thanks to their ability to carry a lot of goods and to sustain themselves on only small amounts of water. In caravans, they were loaded up with goods, so that they ended up quite bulky. As a result, a camel would have a very difficult time indeed to pass through one, thanks to all of the possessions, or baggage, piled up on them. What Jesus was saying to his disciples is that riches are often baggage that pile up on us during our life, and keep us from entering the narrow gate that leads to the path to heaven. The more possessions we have, the more worldly distractions we have to keep us from focusing on God and entering the gate. If we want to enter through that gate, we need to cast away the baggage that we have piled up on us. For some of us, we don’t have to cast a lot away. For others, we have to cast most or all of it away. For the rich man, his worldly possession were blocking him from entering the kingdom; he needed to give them all away. While he didn’t go out and do wrong to others, as he explained, they were keeping him from putting God at the center of his life. They were an impediment to him, and so he needed to get a rid of them. There is another component as well, namely that of giving the proceeds of his possessions to the poor. The rich man had indicated he kept the commands, he didn’t do wrong to others. But he never expressed that he was going out and affirmatively doing right, either. Alms-giving was something he didn’t mention. So it seems as thought he was refraining from evil, but that is not the same thing as actively doing good. Jesus was encouraging charity in him, which is one of the essential virtues of Christian faith. In other words, Jesus was trying to get the rich man to think of others, and not merely himself. One result of this would be to also help the rich man think of God more as well. 8 Prayer is good when accompanied by fasting, almsgiving, and righteousness. A little with righteousness is better than much with wrongdoing. It is better to give alms than to treasure up gold. 9 For almsgiving delivers from death, and it will purge away every sin. Those who perform deeds of charity and of righteousness will have fulness of life; 10 but those who commit sin are the enemies of their own lives. at the moment of his falling he will find support. I find the language on alms-giving helping you to escape death to be especially powerful. As Christians, we can understand this in a way that the writers of Tobit and Sirach could not- it is not simply that charity helps one to escape death, but helps us to achieve life, and lasting life at that. and he who pursues money will be led astray by it. and their destruction has met them face to face. and every fool will be taken captive by it. and who does not go after gold. for he has done wonderful things among his people. 10 Who has been tested by it and been found perfect? Let it be for him a ground for boasting. and to do evil and did not do it? and the assembly will relate his acts of charity. 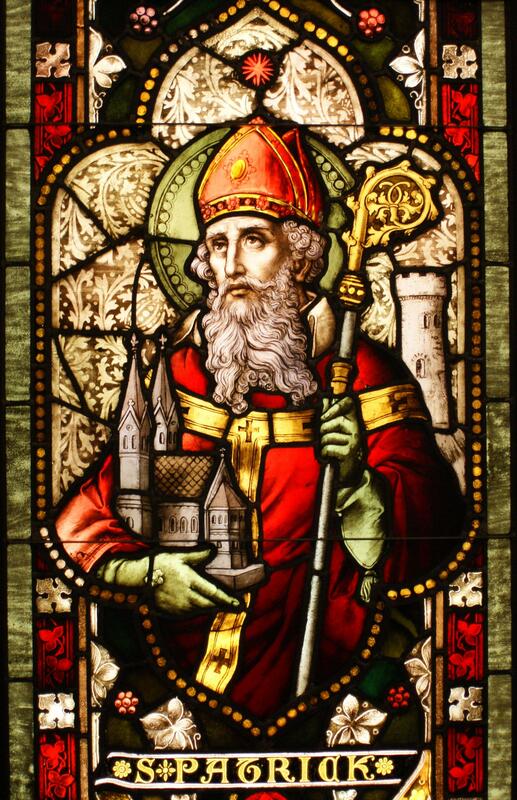 Saint Patrick (Latin: Patricius; Proto-Irish: *Qatrikias; Modern Irish: Pádraig; Welsh: Padrig) was a 5th-century Romano-British Christian missionary and bishop in Ireland. Known as the “Apostle of Ireland”, he is the primary patron saint of the island along with Saints Brigit and Columba. The dates of Patrick’s life cannot be fixed with certainty but, on a widespread interpretation, he was active as a missionary in Ireland during the second half of the fifth century. He is generally credited with being the first bishop of Armagh, Primate of Ireland. When he was about 16, he was captured from his home in Great Britain, and taken as a slave to Ireland, where he lived for six years before escaping and returning to his family. After becoming a cleric, he returned to northern and western Ireland. In later life, he served as an ordained bishop, but little is known about the places where he worked. By the seventh century, he had already come to be revered as the patron saint of Ireland. Saint Patrick’s Day is observed on 17 March, the date of his death. It is celebrated inside and outside Ireland as a religious and cultural holiday. In the dioceses of Ireland, it is both a solemnity and a holy day of obligation; it is also a celebration of Ireland itself. Saint Patrick is one of those saints whose life is so filled with legend it is hard to tell what is true, and what isn’t. Some stories are obviously just that, stories, probably folklore that was pagan in origin that was associated with St. Patrick in order to preserve it. What is certain, however, is that St. Patrick remains one of the most recognized and influential saints to ever life. His mark on Ireland is felt even to this day, and probably will continue to be felt for a long time yet. What really impresses me about him as a Saint is the fact that he, out of Christian piety, returned to the land where he had been a slave. It would have been easy for him to have shunned Ireland, and never set foot there again. But his faith in the Lord, and his love for his fellow man, was greater than any lingering emotional scars that resulted from his enslavement. There are some who think that Saints are held high regard because they were perfect in their lives, but this is not so. Many were far from perfect, and more than a few lived terrible, sinful lives before they repented and turned to lives of holiness. Rather, what makes someone a saint (besides later recognition) is that they inspire the faithful- they give us hope and the courage to do more with our faith. Saint Patrick is an example of one such person. What is your best info and advice for men to pick and plan their personal missions in life, who are concerned about how the possibly low income and high expense of that mission lifestyle will effect and decrease their odds of marrying a truly godly woman? This seems like picking a mission without any hope for a wife OR picking a wife and trying to make a lot of money, but without any personal mission, and both of those options seem less than ideal. I’m pissed off that nearly [every] example of married men in the bible is rich, mad that most Christian women are repelled by a lack of high income. How can a Christian man still marry if he is intent on pursuing a life-path/mission that not only doesn’t pay well, but is expensive at the same time? What is the significance of the fact that nearly every married man in the bible is rich? Why are most Christian women repelled by a lack of high income? This brings me to the issue of why it seems that most Christian women are repelled by a lack of high income. The first thing I would like to do is point out that all women, not just Christian women, are attracted to a man with a high income. Money, of which income is a significant component, is one of the attributes that women use to measure the attractiveness of a man. As its position in the PSALM formula indicates, Money is the weakest of these attributes. But it is still something that women pay attention to, at least when high numbers are concerned. Even with this in mind, a number of men around the sphere have argued for some time that most Christian women are even more materialistic than their secular sisters. Personally, I have no opinion on the matter. In my experience most women who profess to be Christian are no more concerned, and no less, than secular women when it comes to income and wealth in general. But for the sake of this post let us assume that their assessment is accurate. So why would Christian women be more insistent on a man having a higher income than secular women? One reason that I can think of is the so-called “Prosperity Gospel.” Apparently this is quite prominent in a number of Protestant Christian circles. Since most of those men making these allegations/observations tend to be Protestant, I wonder if there might be a link between the two. Not being familiar with this particular theology, its adherents, or Protestant churches in general, I will leave it to my Protestant readers and commenters to offer their thoughts on this possible cause. Another factor might be the rampant sense of entitlement that is fostered amongst many Christian women these days in the West, especially in the US. The title of EAP, or Entitled American Princess, is sometimes associated with “good church girls”, who are often called “Daughters of the King.” Given the rampant feminism in most Christian churches these days, it is only natural that unhealthy and unrealistic expectations will be developed in many young Christian women. There might be other factors at play, but I can’t think of them at the moment. My readers are encouraged to off their own suggestions at what might be behind this. Something I want to touch on real quickly is that women should be concerned about a man’s income, or his future ability to provide, when it comes to marriage. After all, he will need to provide for a family, especially while his wife is pregnant and they have children. A man who cannot provide for a family, now or in the future, needs to understand that his ability to marry will be severely limited. And there is nothing wrong with this- we men are called to a great responsibility as husbands and fathers, and need to live up to that. What I think that Nathan was getting at, though, is that many Christian women’s perceptions of what an appropriate income is to support a family are heavily skewed to the high end. As a result few men can hope to live up to these unrealistic, and unnecessary, expectations. 29 And every one who has left houses or brothers or sisters or father or mother or children or lands, for my name’s sake, will receive a hundredfold, and inherit eternal life. 30 But many that are first will be last, and the last first. I think that part of the dilemma faced by Nathan is self-imposed, in the sense that he (perhaps without intending to) rejects a lifestyle that earns a high income as compatible with serving the Lord. While riches make entering heaven difficult, it is not impossible. After all, with God all things are possible. One doesn’t have to be poor to serve God. It just helps keep distractions out of your life. In addition, our personal missions can be quite varied. For some Christians it might be actual missionary work in Africa or Asia. For others, it might be charity work closer to home. For others it might involve raising funds or foodstuffs or other necessities for those in need (something Saint Paul himself engaged in). For others it might be evangelization, or something as simple and yet as difficult as raising a family of saints. I could go on listing possible paths for a long time yet; there is no limit to the ways we can serve the Lord. But if you feel called to a specific vocation (to use the Catholic parlance), it might be necessary to give up a wife and family. If you think this might be the case, then I recommend lots and lots of prayer. Combine this with discussions with wise and devout individuals in your life, to discern if that is truly your calling. If it is, understanding that you are giving up a lot in this life, in the hope to gain a hundred-fold in the next. Another option worth mentioning is to pursue mission style work later in life. One doesn’t have to do it when young. In fact, there are many reasons to do it while older. A man can spend his young working hard, acquiring money, getting married and raising a family, and then once the children are grown up he and his wife can engage in that mission then. At that point in life mission work might be a nice break from what you did before, and you might be better prepared for it as well. You doesn’t have to serve God the same way your whole life- the way we can serve can adjust as we gain experience and wisdom. A biblical example of a Christian married couple who might fit this bill would be Priscilla and Aquila. Scripture doesn’t mention that they had children with them, nor does it mention their age. But given the way that they moved freely with Paul, I suspect that they were probably without children at the time. This might have been because their children had already grown up and moved to their own household. It is also possible they were infertile and simply couldn’t have children. If the former, however, they provide an example of a married couple who served God in a powerful and memorable way. My advice to any man is to first discern what vocation he is called towards. Is marriage part of his God-given mission? If so, then he needs to plan and act accordingly. That means being in a position to support a wife, and then later a family. If you feel called towards something else right away, then you need to accept the sacrifice that is asked of you, and make peace with that. Otherwise, you can still plan your mission after you have an empty nest, where you and your wife do the Lord’s work in the manner you are called to. Just be sure and discuss this with potential wife candidates, so that they understand the nature of the mission, and man, they are becoming joined with. That completes my initial thoughts on the matter. I would encourage my readers to offer their own thoughts and advice to Nathan, and to anyone else contemplating the same situation. Update: The Unreal Woman has expanded on her thoughts in the comments in a post over at her blog. I highly recommend it. Thank you to everyone who voted, and everyone who provided an image for my readers to consider. 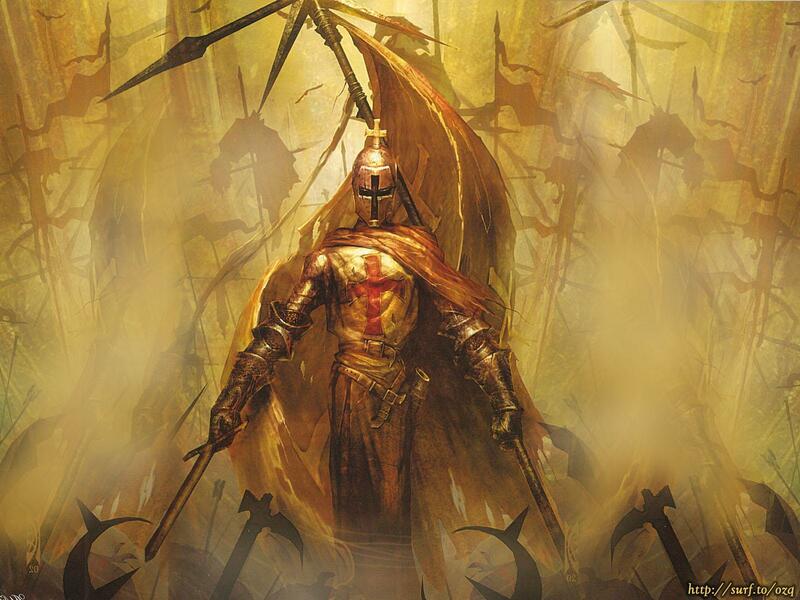 Armor of God received 9 votes, and close behind it was the Sword of the Lord, receiving 8 votes. I may post a complete tally later if folks are interested. The word that came to Jeremiah concerning all the Jews that dwelt in the land of Egypt, at Migdol, at Tah′panhes, at Memphis, and in the land of Pathros, 2 “Thus says the Lord of hosts, the God of Israel: You have seen all the evil that I brought upon Jerusalem and upon all the cities of Judah. Behold, this day they are a desolation, and no one dwells in them, 3 because of the wickedness which they committed, provoking me to anger, in that they went to burn incense and serve other gods that they knew not, neither they, nor you, nor your fathers. 4 Yet I persistently sent to you all my servants the prophets, saying, ‘Oh, do not do this abominable thing that I hate!’ 5 But they did not listen or incline their ear, to turn from their wickedness and burn no incense to other gods. 6 Therefore my wrath and my anger were poured forth and kindled in the cities of Judah and in the streets of Jerusalem; and they became a waste and a desolation, as at this day. 7 And now thus says the Lord God of hosts, the God of Israel: Why do you commit this great evil against yourselves, to cut off from you man and woman, infant and child, from the midst of Judah, leaving you no remnant? 8 Why do you provoke me to anger with the works of your hands, burning incense to other gods in the land of Egypt where you have come to live, that you may be cut off and become a curse and a taunt among all the nations of the earth? 9 Have you forgotten the wickedness of your fathers, the wickedness of the kings of Judah, the wickedness of their wives, your own wickedness, and the wickedness of your wives, which they committed in the land of Judah and in the streets of Jerusalem? 10 They have not humbled themselves even to this day, nor have they feared, nor walked in my law and my statutes which I set before you and before your fathers. 24 Jeremiah said to all the people and all the women, “Hear the word of the Lord, all you of Judah who are in the land of Egypt, 25 Thus says the Lord of hosts, the God of Israel: You and your wives have declared with your mouths, and have fulfilled it with your hands, saying, ‘We will surely perform our vows that we have made, to burn incense to the queen of heaven and to pour out libations to her.’ Then confirm your vows and perform your vows! This passage is interesting because of how it treats the idolatry by the people of Judah following the Babylonian conquest of the southern kingdom. It makes it clear that man and woman alike was responsible for this most grievous of sins against the Lord. This is reinforced at numerous points in the passage, from the beginning to the end. The message is a clear one: no one was free of sin on account of this. I also found the part in bold interesting, because it seems to be a bit of a reversal of what Adam did in Genesis 3. Here the wives of the men of Judah are saying in effect: “hey, our husbands not only didn’t stop us but approved of the act.” Almost as though trying to shift the blame as much as to share it. All of which goes to show that the rot ran deep in the people of the Lord. They had wholly given themselves over the world, and lived as its inhabitants did. Essentially, they were indistinguishable from their neighbors who weren’t of the faith. Considering the price that they paid for this, it should serve as a stark reminder to us that we should not be living identical lives as our secular brothers and sisters. I read this passage again recently, and got to thinking about my particular talents, and what they are good (and not good) for. Then I focused on the servant who hid his talent, and made a connection that I hadn’t made before…. There are a number of folks around these parts who believe that the End Times are upon us. They may well be right, we know not the hour. But more than just believing the Day of Judgment will soon arrive, they had adopted a view that attempting to change the world in any way is pointless. In fact, many say/argue that trying to “fix” things is entirely futile, and even if it isn’t, what’s the point? This position has never sat well with me, and after re-reading the parable of the talents I finally understood why. Christians who adopt these views are acting just like the servant who buries his talent. They have been entrusted by the Lord with something of value, but refuse to make a profit from it. That something of value is their ability to make a difference in the world however they can, using the skills and gifts allotted to them. Ostensibly they are acting this way not because of fear but because of perceived futility, but I wonder. The servant is punished for not using his talent appropriately, not for being afraid of losing it. It is my belief that if we can make a difference, we should. Anything less would be the equivalent of burying our talent and waiting for the Master’s return. Now some may feel that can’t “fix” anything out there, and perhaps they are right in that their talents don’t fall in that particular field. But I believe that mine do, and I intend to used them as wisely and profitably as I can. They have been entrusted to me, and I will not betray my Master’s confidence.